Who wants Rogaciano Alba dead? 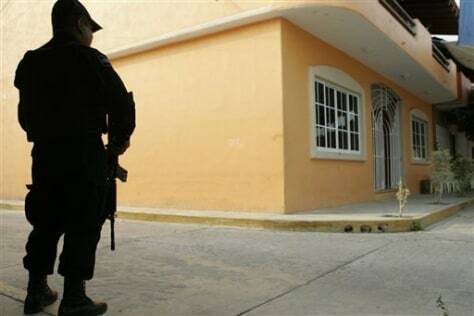 A state policeman patrols outside a home that belongs to Rogaciano Alba in the town of Petatlan on the Pacific coast of Mexico on Tuesday. Alba escaped a hit squad that lined up and shot his two sons and kidnapped one daughter, part of a bloodbath that killed 17. The motive remains unknown.